One of the most experienced Account Executives at NeweggBusiness, Steve Rojas exemplifies the growth that the offline sales team has undertaken in the past five years. Very early in his tenure, J.B. Williams made his reputation as the answers guy among his peers in the sales department. Patrick helps enterprise and public sector customers build custom punch-out catalogs into their automated e-procurement systems. He ensures they find consistent pricing and availability for the technology products they source for the organization, and helps navigate complex approval processes during procurement. Account Executive Steven Coe is a customer favorite, and a highly influential member of the SMB sales team here at NeweggBusiness. He knows firsthand what it's like to run a small business, which gives him unique insight about customer needs and goals. For him, it's all about building trust. Carolyn Yap is relatively new to IT e-commerce, but you would never know that. The recent graduate hit the ground running at full speed since joining the SMB team earlier this year. Since then she has become a favorite for customers and members of her team alike. It’s Saturday morning in mid-June with just a bit of overcast to shade us from the hot California sun. 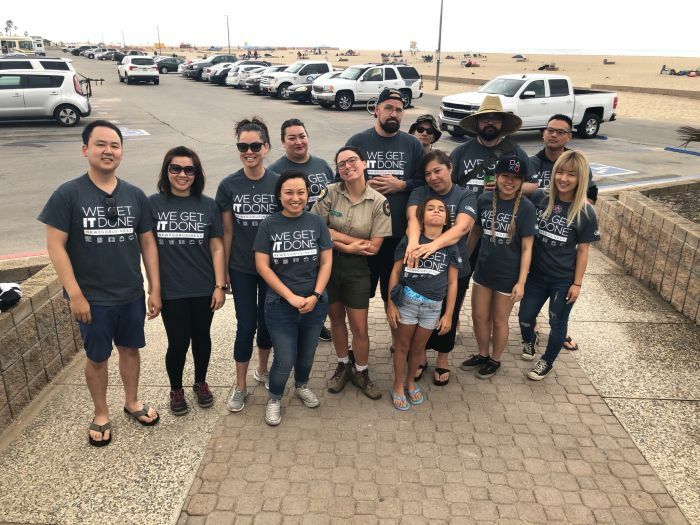 A few of the team members here at NeweggBusiness, some with their families, are spending the day volunteering at Huntington State Beach. Newegg vs. NeweggBusiness – What’s the Difference? Real talk. Newegg vs NeweggBusiness? What is the difference? What’s the point of having two sites? What does having a NeweggBusiness account offer that you can’t get with your account at the flagship site? Read on for a quick, buzzword free explainer of e-commerce and IT procurement game.